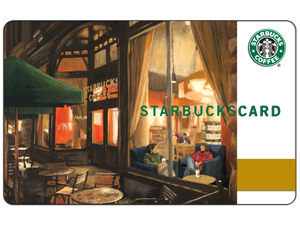 Just 1 Step: Why you should not carry a Starbucks giftcard in your back pocket. Why you should not carry a Starbucks giftcard in your back pocket. Why should you not carry your Starbucks giftcard in your back pocket? Because when you're staying late at work to try to finish up a never-ending project to meet a strict deadline of tomorrow, the giftcard might decide it wants to be the icing on your cake-of-a-day and while you're taking a much-needed pee break take a diving plunge into the pee-filled toilet. Yes, that's right friends. I just had to stick my hand in the pee-filled work toilet to rescue my Starbucks giftcard. After which I made a mad dash for the sink to scrub both my hand and the card in scalding soapy water. But I had to do it. No way I was taking a chance of that toilet sucking away my Starbucks money. haha! Oh I would have done the SAME thing!! Funny story! Should I be proud of this? But I can produce pretty age plots!